Imagine you discover a novel compound. Maybe it will cure Alzheimer’s or a form of cancer! Science is that wonderful practice that introduced the world to inventions like penicillin, the battery, and the light bulb. The trial and error process to science is the scientific method, similar to grant writing. It is essential for your test, to be viable. This means repeatable. So, make sure you control all your variables except one. Following the evaluation of your goals and objectives, (as in the scientific method) you will want to tweak your program and prepare it for replication. Before a study finds corporate backers for research and development, scientists and inventors often fund themselves! GrantWatch.com has grants for science, for stem cell biology, science education; and computer technology. Imagine a classroom full of little scientists with minds brimming with scientific discoveries and inventions. You can always synergize your efforts at acquiring funds with crowdfunding, the best method of online fundraising. The public is open to contribute to your cause, you just have to get it out there. I was a biology major so I was always a bit of a science head. For my 8th grade project, we compared the pH levels of fresh water, sea water, drinking water, and pool water. The significance of the project was to discover the acidity of the various water sources. At the time, I had no funding except that which filled my father's gas tank driving to and from the water sources. If only we had something like crowdfunding, then! 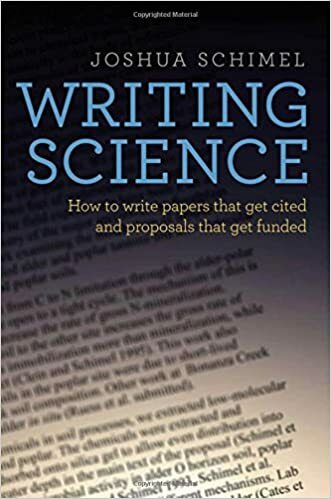 To learn more about writing for the sciences, particularly grants that get funded, read this book: Writing Science: How to Write Papers That Get Cited and Proposals That Get Funded, by Joshua Schimel. In the book you learn that science writing tells a story. A researcher must be able to express his research in a way that maximizes readers’ comprehension. It also divides the proposal into sections like paragraphs, sentences, and words. Finally, it discusses challenges a science writer will face. If you’d like to share your story and showcase your cause go to GrantNews.com to sign up as a writer. Pitch your article and, once approved, begin writing! Make sure to mention 3 of the 6 affiliated websites: GrantWatch.com, Uhelpfund, GrantWriterTeam.com, MWBEzone.com, GrantNews.com, and GWI.education. About the Author: Staff Writer for GrantWatch.com and its affiliates.